Linebacking mate Cody Barton participates in only one drill, letting his Combine numbers stand. Chase Hansen is unable to run or perform in other tests in advance of the NFL draft, so the former Utah linebacker can only hope that his play on the field last year is a convincing enough audition. The body of work includes Hansen’s playing the second half of his senior season with a herniated disc in his lower back. And that disclosure explains how Hansen became the biggest story of Utah’s Pro Day, as the Ute seniors worked and others including former receiver Darren Carrington II worked out Thursday for NFL personnel. 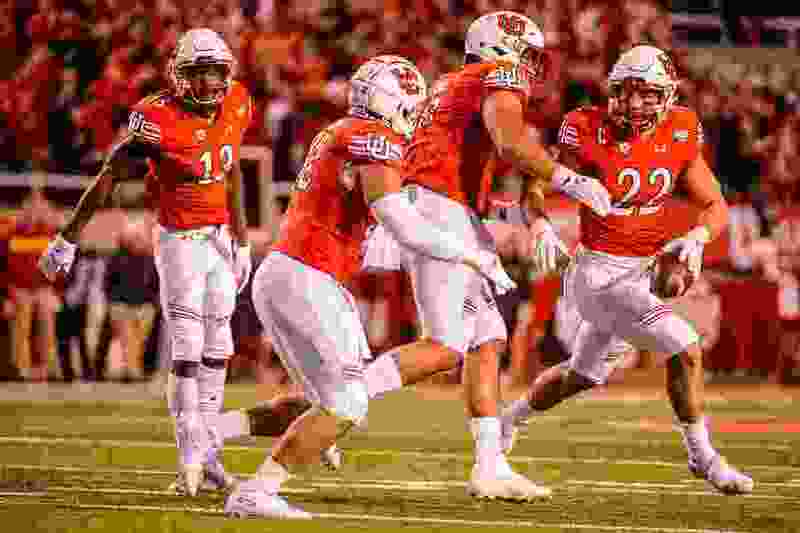 Cody Barton, who teamed with Hansen in possibly the school’s best-ever linebacking tandem, did only position drills at the Spence Eccles Field House, choosing to let his testing numbers stand from the NFL Scouting Combine in Indianapolis. Barton and safety Marquise Blair are Utah’s top draft prospects, expected to be taken in about the fourth round. Hansen was in that discussion as of the middle of last season, when he became Utah’s most productive defensive player after moving from safety for his senior year. The back injury occurred in late October, when the Utes were beating USC and UCLA, Hansen said, but he received injections and played through the Pac-12 championship game Nov. 30 vs. Washington. Hansen made the All-Pac-12 first team; he was credited with 13 tackles in each of three games after sustaining his injury. He strained his hip in the Pac-12 title game, unrelated to the other injury, causing him to miss the Holiday Bowl vs. Northwestern. Hansen then received “pretty strong advice to get [the disc] fixed for the long run,” he said, so he had surgery in January. Hansen probably won't be able to work out for teams prior to the April 25-27 draft. “Hopefully, they can gather what kind of player you are, just from your film,” said Hansen, who met with more than a dozen scouts Thursday. They reviewed his 2018 performances and asked “a million questions,” he said, trying to gauge how he learns off the field. The timing is not good, the 25-year-old Hansen acknowledges, but he's confident about being healthy for training camp in July, whether he's drafted or signs as a free agent. Barton became a star of the Combine, running the 40-yard dash in 4.64 seconds and doing 30 bench-presses of 225 pounds, among other strong showings. That’s why he did only linebacker drills Thursday, when he said, “I just wanted to show some athleticism on the field and have some fun.” Other players’ testing numbers were not announced. Hansen, Barton, Blair, kicker Matt Gay, punter Mitch Wishnowsky and offensive tackle Jackson Barton (Cody's older brother) attended the Combine. Three more senior starters – offensive linemen Lo Falemaka and Jordan Agasiva and safety Corrion Ballard – should be drafted or get free-agent opportunities. Four other seniors worked out Thursday, along with Carrington, who caught 70 passes for the Utes in 2017 after transferring from Oregon. Carrington was a late signee with Dallas last summer and was soon waived. Carrington brought in former Oregon quarterback Dakota Prukop to throw for him, with current college players not allowed to participate in Pro Days.